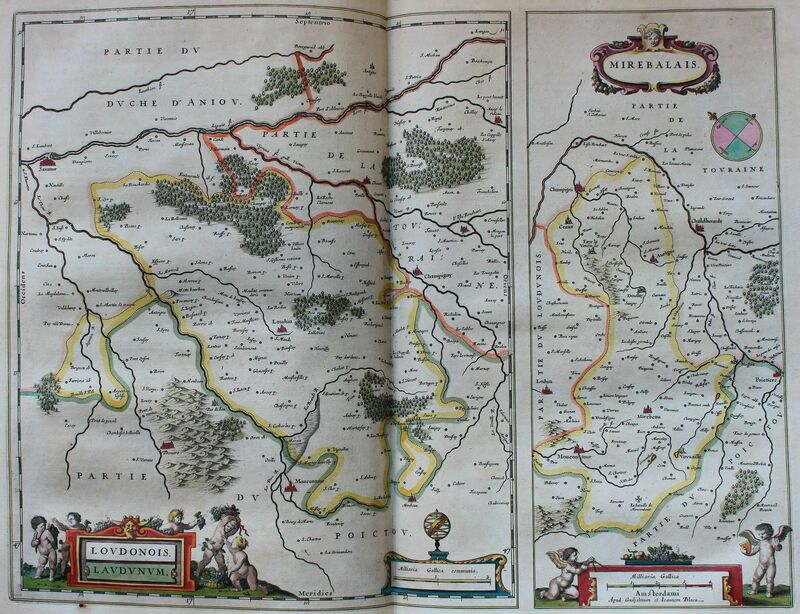 Source: A. Guiljelmum and I. Blaeu, “Loudunais et Mirebalais,” 1635. Serie FI L 192, Archives Departementales de la Vienne, Poitiers (AV D). This is one of the maps used periodically in Gregory Kennedy’s work comparing France and Acadia. It depicts the Loudunais region of France in the early-seventeenth century. What type of information does this map convey? How does it help us better understand from where French settlers came? Document 1: The Loudunais and Mirebalais, c. 1635 by Sean Kheraj and Tom Peace is licensed under a Creative Commons Attribution-NonCommercial-ShareAlike 4.0 International License, except where otherwise noted.